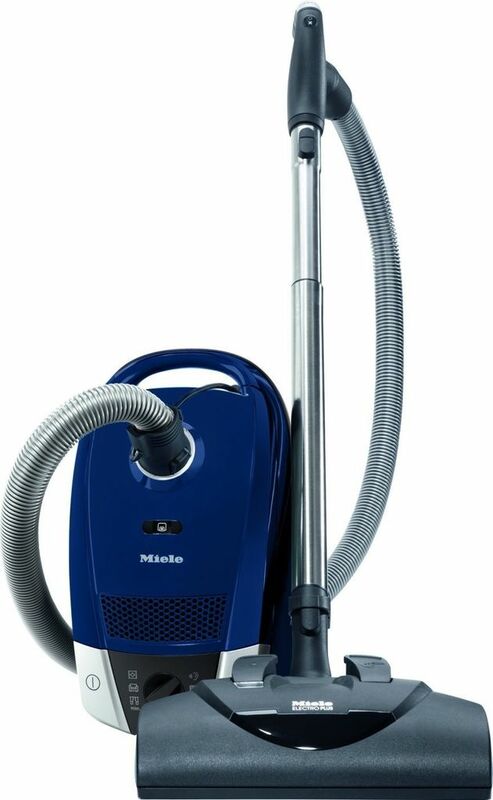 The Miele Compact C2 Electro+ PowerLine Vacuum delivers intensive deep cleaning of heavy-duty carpeting with a velvet glove touch. 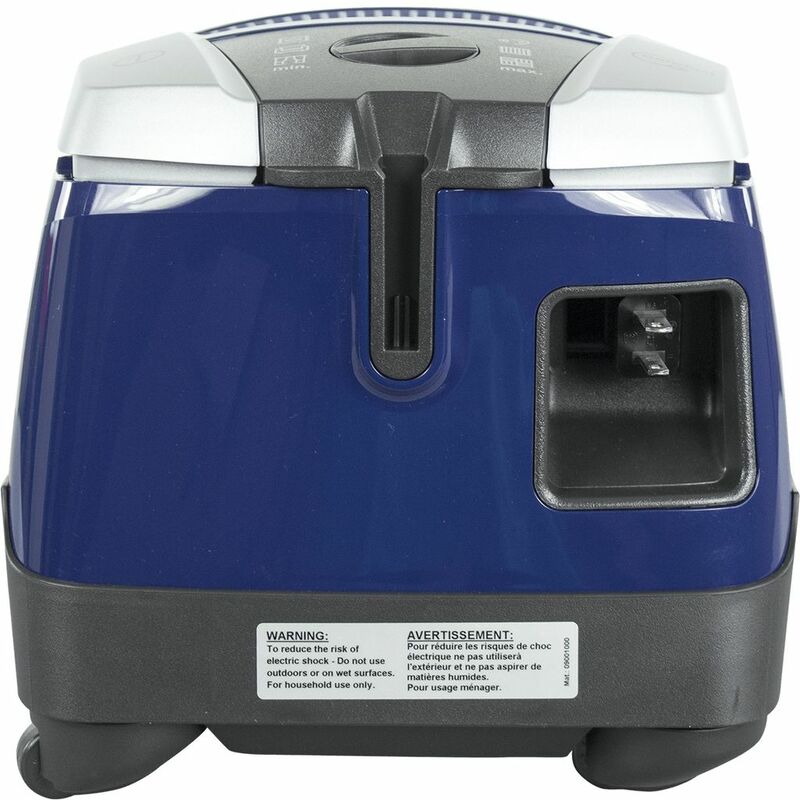 The tight seal of this compact canister vacuum ensures that all the dust, dirt, and debris collected stays inside the vacuum allowing you to enjoy a truly clean environment. 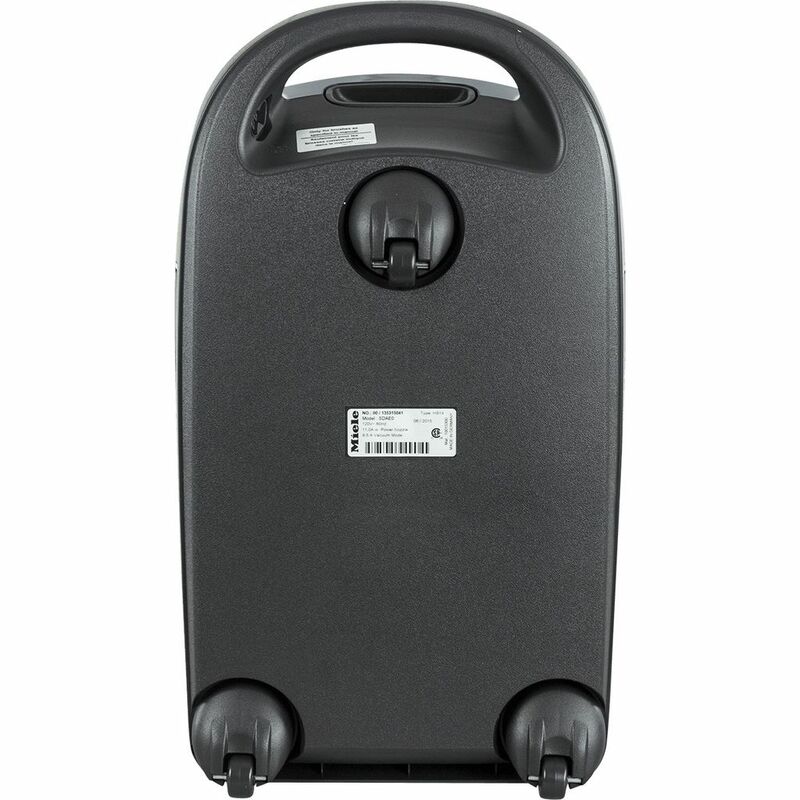 Easy rolling casters provide exceptional 360 degree maneuvering, while the comfort handle with integrated controls and lightweight stainless steel extension wand make cleaning everything from light fixtures to baseboards a pleasure. Bare floors along with your carpeting? 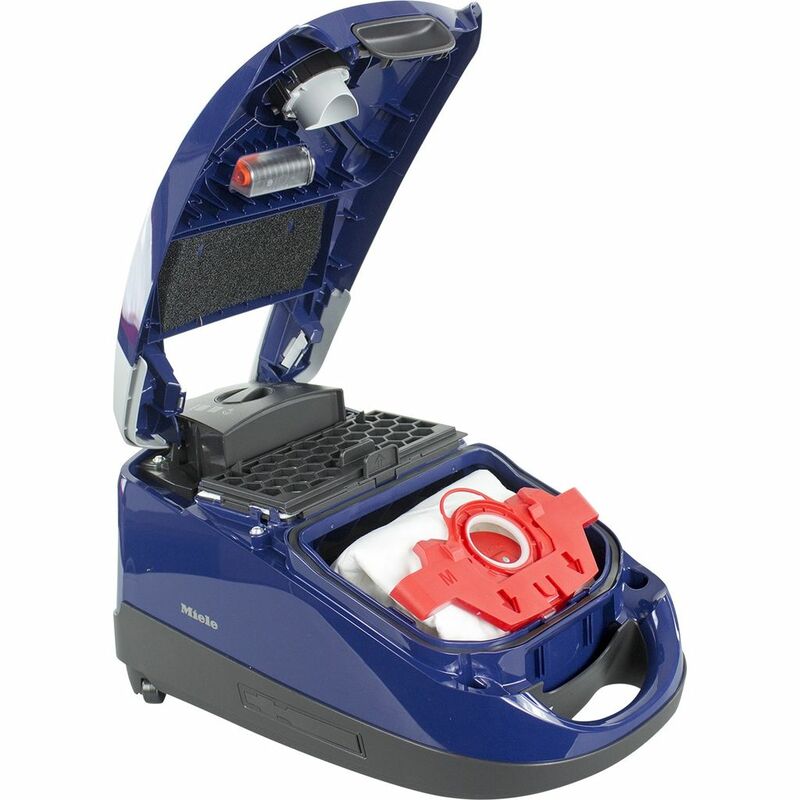 The Miele Electro+ PowerLine includes a Parquet Brush floor tool along with additional accessories stored close to hand for easy transitions. 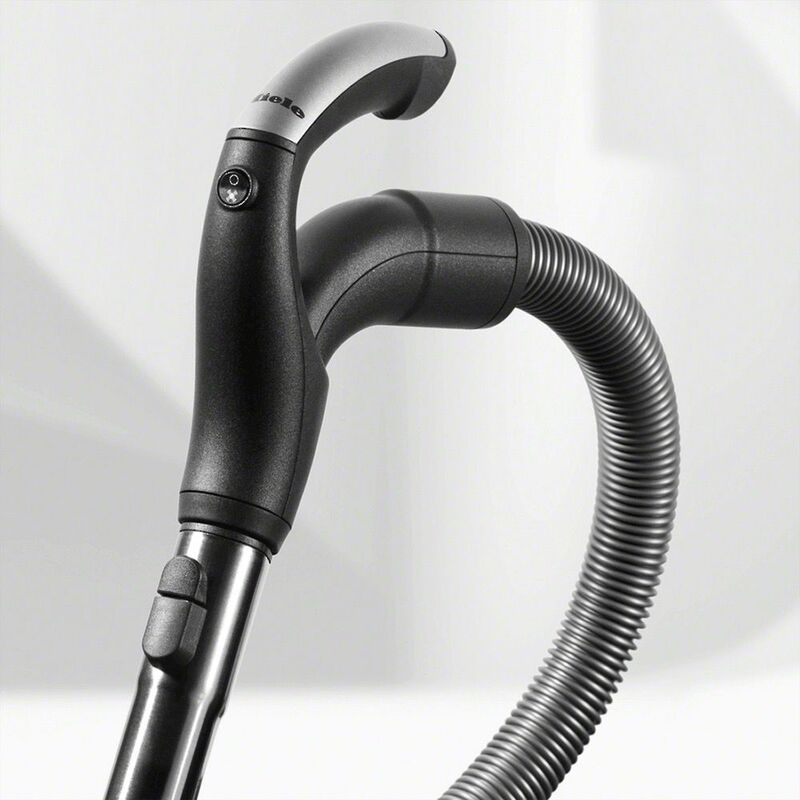 With 6 suction settings, exclusive silence system, bag change indicator, and parking ability this Miele combines award-winning cleaning ability with exceptional convenience. 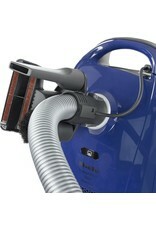 While this vacuum boasts 1200 watts of cleaning power, it takes more than just that to make a good vacuum cleaner. 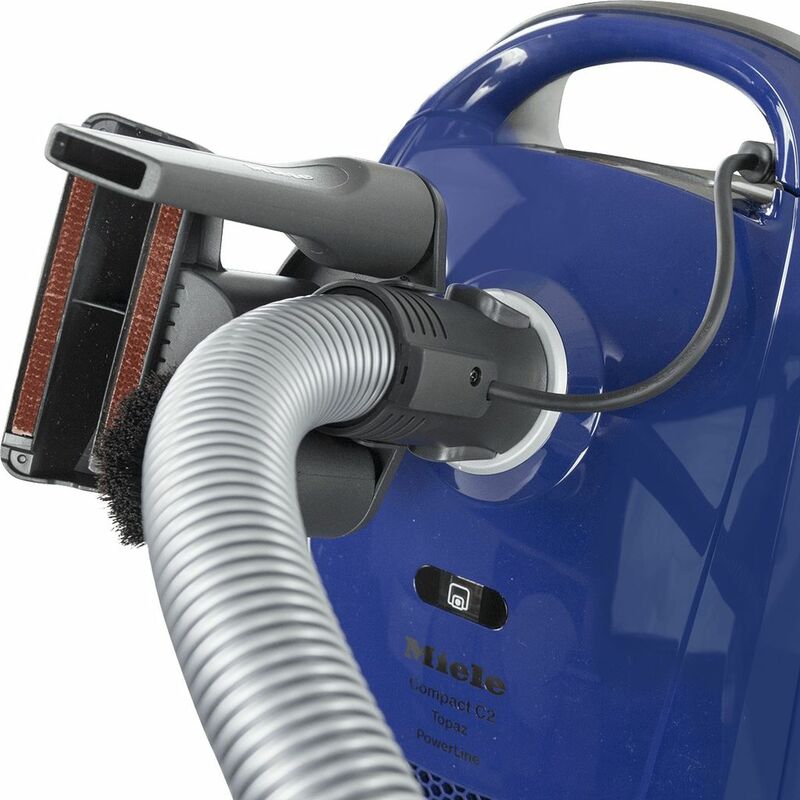 The C2 Compact Electro+ PowerLine features the trademark Miele tight seal housing and perfect air flow to ensure strong suction in the powerhead. 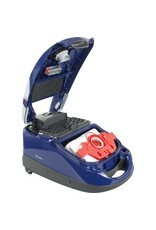 The special design of the Electro Power Head achieves perfect cleaning even on the lowest power setting. 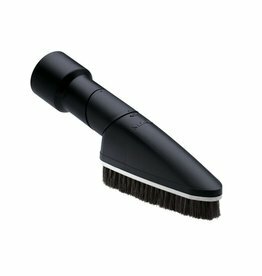 Featuring a swivel action neck, you can easily maneuver its 10.5-inch wide motor-driven brush roll over carpeting for deep-down cleaning. 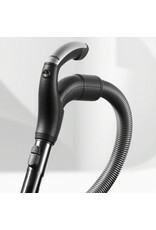 An on/off brush roll switch located on the handle makes it even more convenient to use. 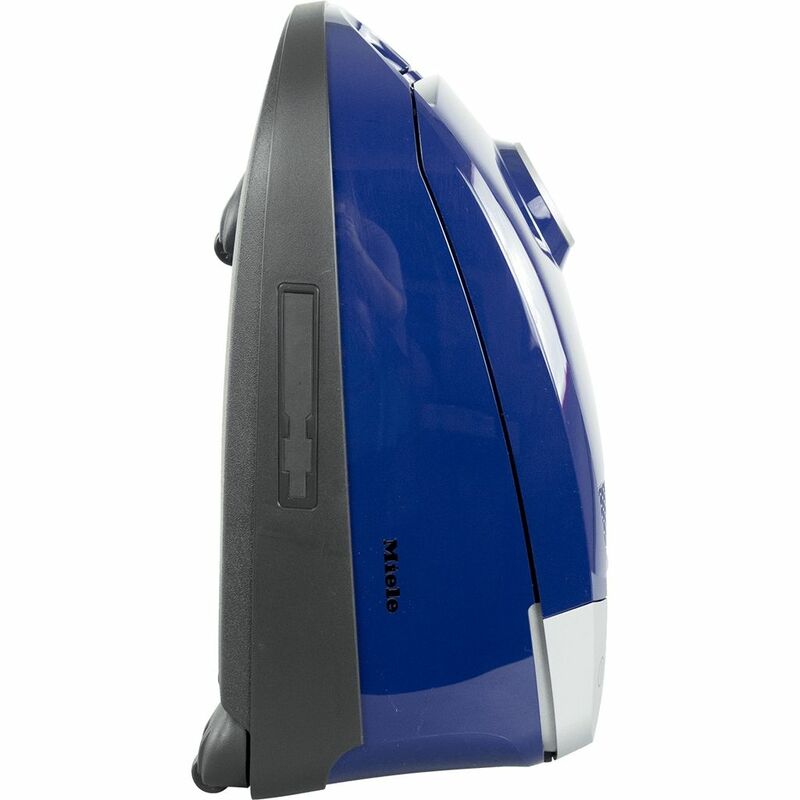 Many vacuum cleaners don’t have sealed systems and allow particles to escape back into the air through the exhaust and dust bag opening. 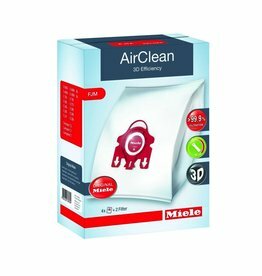 Miele’s AirClean filter system securely traps even tiny particles and allergens with the long-lasting pre-motor filter, exhaust filter, and 3D Efficiency Dust Bags. The filter dust bag has a self-locking cap, making it easy for even allergy-sufferers to replace. Lifting effortlessly out of the vacuum chamber it leaves your hands clean. In addition to the 3D Dust Bag, an Air Clean exhaust filter is made of 3 layers to capture 99.95% of debris down to 0.5 microns and 94% of invisible particles as small as 0.3 microns. For even better filtration, you can use the Miele HEPA exhaust filter, which has activated charcoal for removing odors and retains 99.97% of particles down to .3 microns. It even features a time strip indicating when the filter should be changed so you stay on top of allergens in your home. 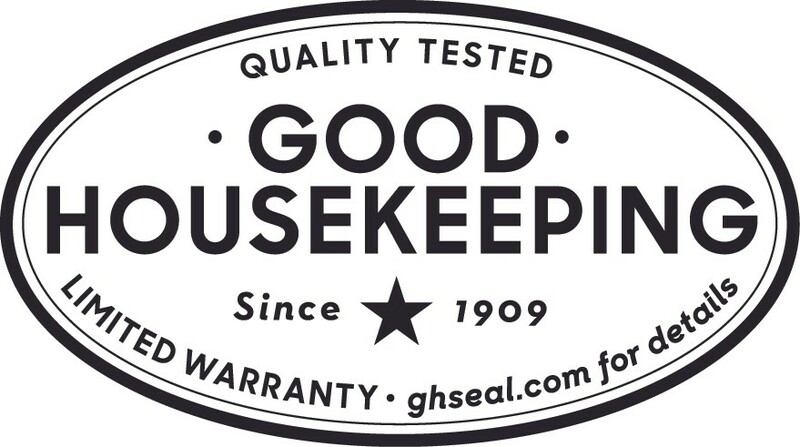 This Miele canister vacuum rates the Good Housekeeping Seal which symbolizes a 2-year Good Housekeeping backed limited warranty on repairs and replacement of defective parts. 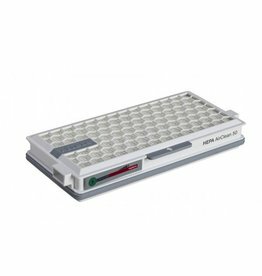 The Good Housekeeping Institute is the oldest consumer product-testing lab of its size in America and sets the benchmark for high standards of product integrity. 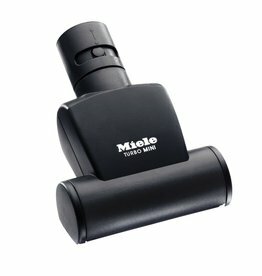 Silent Operation: The Electro+ uses the PowerLine Motor designed for quiet operation along with Miele’s integrated sound insulation built into the canister to ensure the lowest possible noise level. 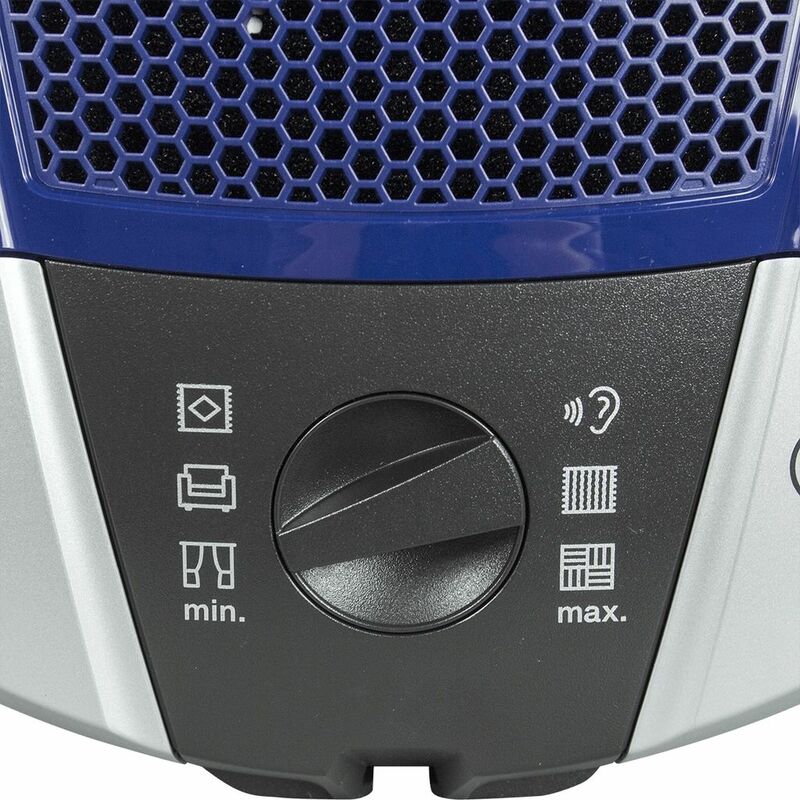 Suction Control: Use the manual suction control knob to adjust the motor speed to 6 different settings based on whether you are cleaning gauzy curtains, heavy-duty carpets, or anything in between. 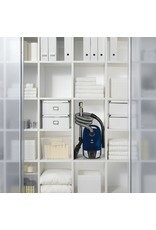 Simple Storage: Besides its sleek size and light weight, this compact vacuum lives up to its name with a park system on both sides, making it easy to store and save space. Attachment Tools: Use the stainless steel telescopic wand and 3 attachments with one-click secure locking system to clean even hard-to-reach spaces in your home. Dust Bag Change Indicator: Take the guesswork out of changing the dust bag by relying on the airflow indicator, which illuminates when you need to replace the 3D Filter Dust Bag. 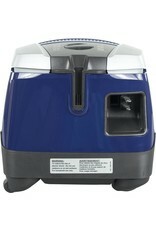 Automatic Cord Rewind: There's no need to manually re-coil the cord. 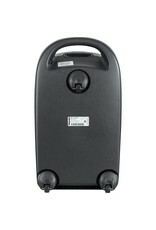 Simply touch the cord rewind button with your toe. 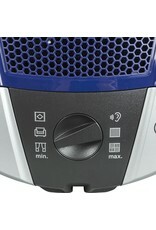 Overheat Protection: The PowerLine motor has a gentle-start feature for slow ramp-up. Along with an overheat protection switch, which will automatically turn it off, your Miele is safeguarded from overheating. Strong Filtration—If you are in need of advanced filtration to truly cut down on home allergies, you can rely on the Miele C2 Compact Electro+ PowerLine. 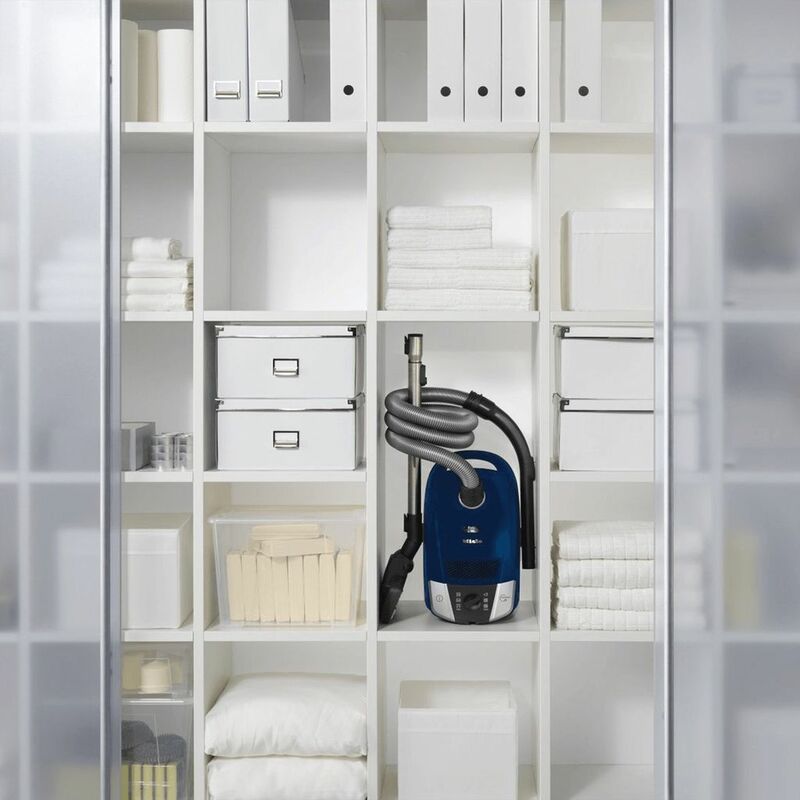 Easy and Versatile—With features like the Parquet Floor Head and Electro Comfort rotating power brush, this vacuum is a pleasure to use anywhere in your home. 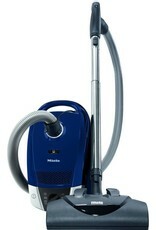 Durable and Lightweight—Miele vacuums are durable yet lightweight. 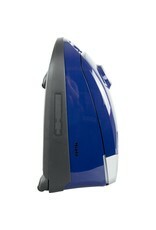 They are made out of recyclable ABS plastic that resists scratches to keep your vacuum in pristine condition for years.